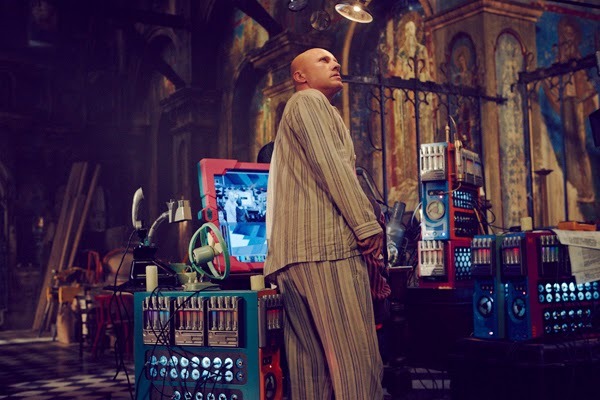 It's genuinely tough to know where to begin with this one, because as a film, The Zero Theorem is an inert and yet writhing mass of contradictions. It's deliberately paced, but it never really stops moving, and it's about a man trying to find the purpose of his task, which is to prove that there is no purpose in life and creation. The only thing you can definitely pin down is that it's a Terry Gilliam film, which should speak volumes about just how tough it is to pin down otherwise. Set some time this century, the film stars Christoph Waltz as Qohen Leth, a programmer who has spent his days in superstitious expectation of a phone call that will clear up any confusion about his pesky existence. His pleas to go and work from home so that he'll be in when the phone rings are answered, when his boss hands him a mysterious and complex assignment to solve the titular equation, and prove that everything is equal to nothing. It sounds incredibly pessimistic, but at least it looks interesting- to really boil it down in such a way would do a disservice to Pat Rushin's complex script, and Gilliam's adept helming thereof, but those are really the two axioms of the film. In the hands of a lesser director, this might have turned out to be a tedious art film, but Gilliam is too energetic and curious for that. The result is something of a sensory overload, more than a philosophical thesis. Early on, Qohen steps out into the street and even though he's the main focus of the scene, walking along, I guarantee that you won't look at him for about a minute, because Gilliam bombards the exteriors with street art, garish adverts, spoof headlines on speedy rolling news tickers, and prominent calls to faith by the church of "Batman The Redeemer". It is to Spielberg's product placement-heavy adscapes in Minority Report what a billboard is to a parish notice, and it effectively establishes Qohen's anonymity and insignificance within his world, and perhaps within the grand scheme of things altogether. During his meteoric rise to stardom, the double Academy Award winning Waltz has never been short of excellent, and it's in his performance that the film is able to get away with such diversionary tactics. After that opening salvo, you soon realise he's on-screen for the entirety of the film, and he almost instantly becomes the most attention-grabbing aspect of every frame. It's a marked departure from roles like Hans Landa and King Schultz, looking far more like Victor Meldrew in most scenes. But he fits Gilliam's style like a glove, playing it with much of the indignation and vague resignation that Jonathan Pryce embodied in Brazil, and generally proves as watchable as ever. Most films suffer by comparison to Brazil, but it's just a shame that this one doesn't hang together as well overall. It leans far more heavily on what's an admittedly impressive use of film as visual medium. Images like a statue of Christ on the cross with his noggin replaced by a CCTV camera speak for themselves- although Qohen is isolated in his work, he's seldom allowed a moment's peace either, with characters like David Thewlis' supervisor (channeling Michael Palin) and Lucas Hedges' smart-alecky sidekick (perfectly cast as the son of Matt Damon's character) physically intruding on his solitude. It's a neat, not-too-didactic representation of how loneliness is endemic, even in a digital community where we are all theoretically connected. But in the end, it doesn't seem to have its heart set on making an existential statement, and in the absence of that, it feels like a very high-faluting trifle of a film. And so there are sub-plots involving online erotica, and what seems like a satire of ATOS, involving cameos from Ben Whishaw and Tilda Swinton, but it's easy to become as frustrated with watching the process of solving the Zero Theorem as it is for Qohen to actually work on it. 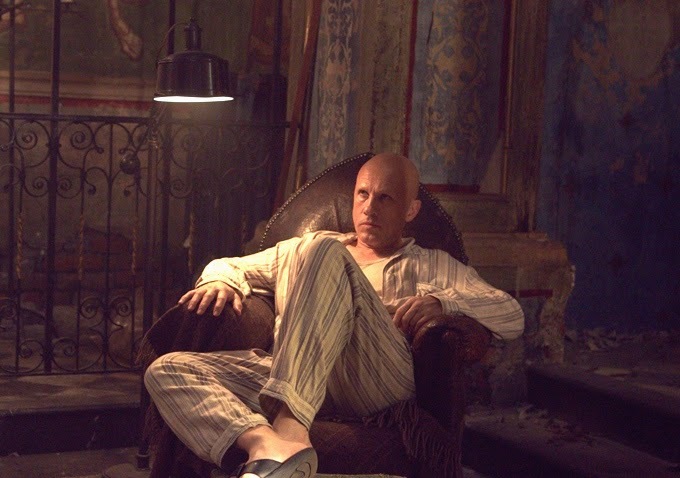 In fairness, The Zero Theorem is about as chirpy as a film about ennui gets, but it's tough to make a film about such sustained entropy without also losing some momentum along the way. Waltz and the assortment of mayfly supporting characters are consistently good, but if anything, the film starts slow and gets slower. It's intentional, sure, but it doesn't necessarily make for enjoyable viewing. It feels like a far more low-key and unremarkable entry in Gilliam's canon, and perhaps only re-watchable for the assorted jokes and Easter eggs, embedded deep in the visual onslaught. 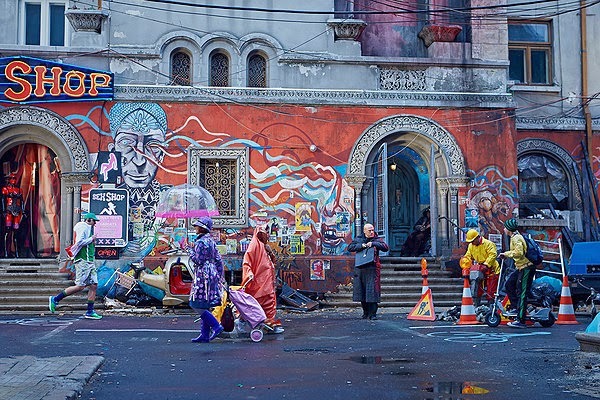 The Zero Theorem is still playing in selected cinemas nationwide. If you're from around my neck of the woods, it's playing at the ARC in Stockton from May 9th-14th.